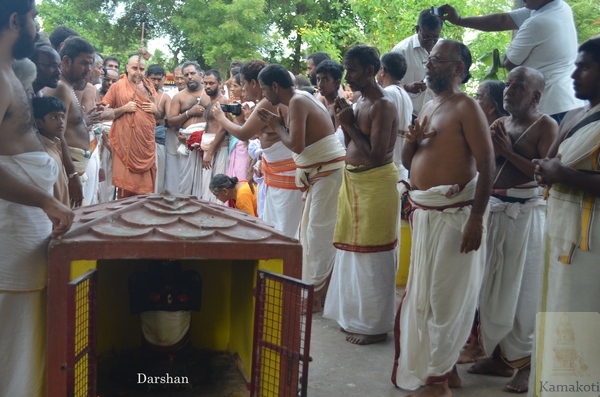 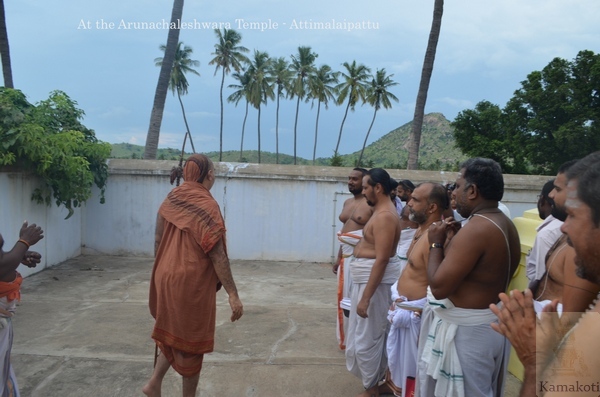 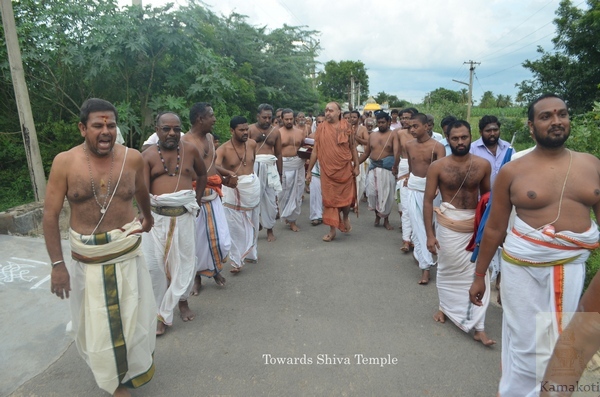 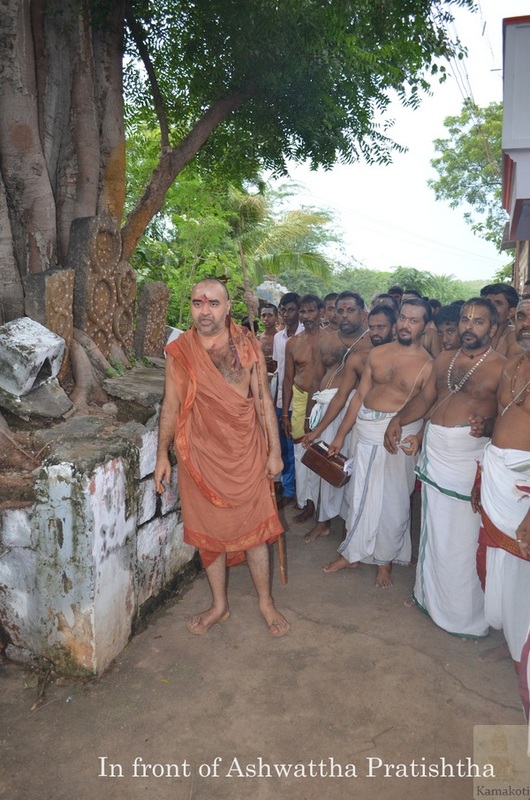 HH Pujyashri Shankara Vijayendra Saraswathi Shankaracharya Swamigal visited Attimalaipattu village about 16kms from Adayapalam village off the Arani-Vellore road. 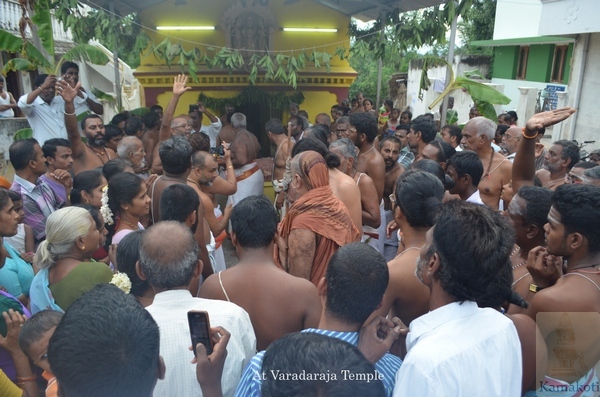 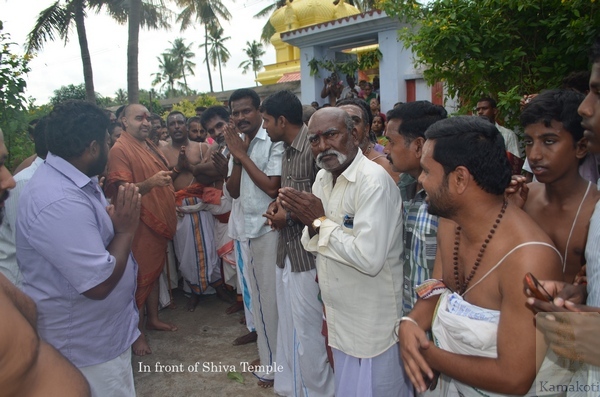 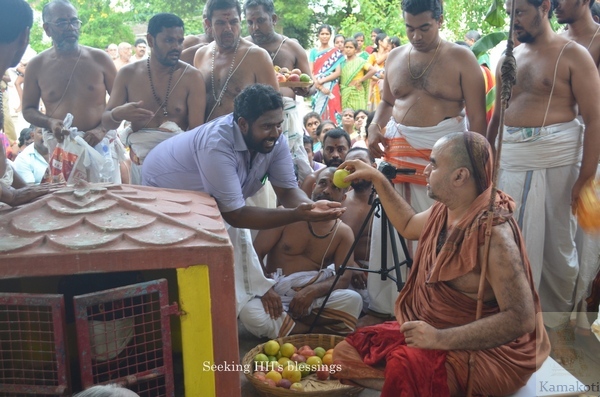 His Holiness was received at the Selliyamman temple by the devotees in the entrance of the village. 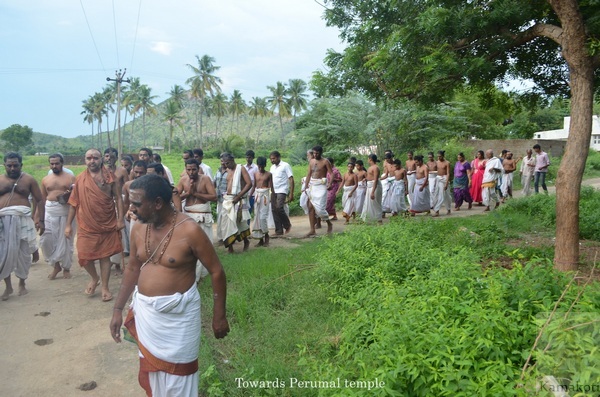 His Holiness walked to the Arunachaleshwara Temple. 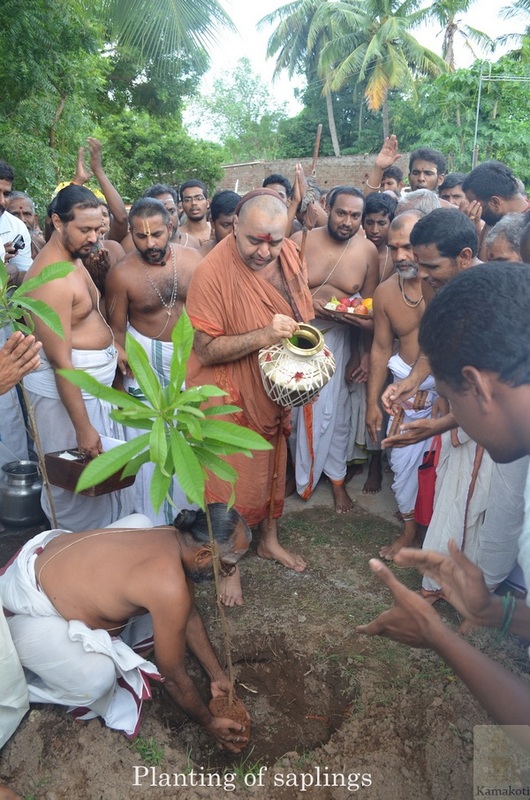 His Holiness blessed planting of saplings in the village by commencing the same in front of the Shiva temple. 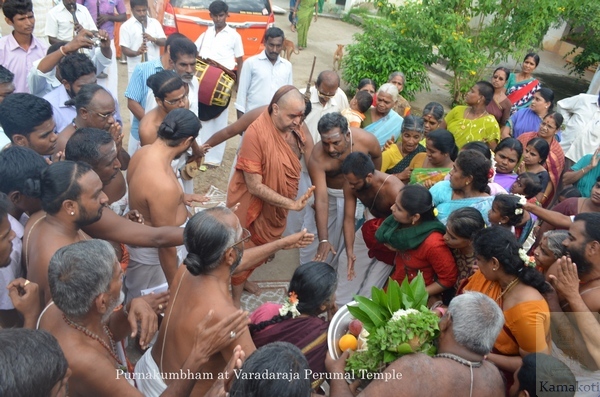 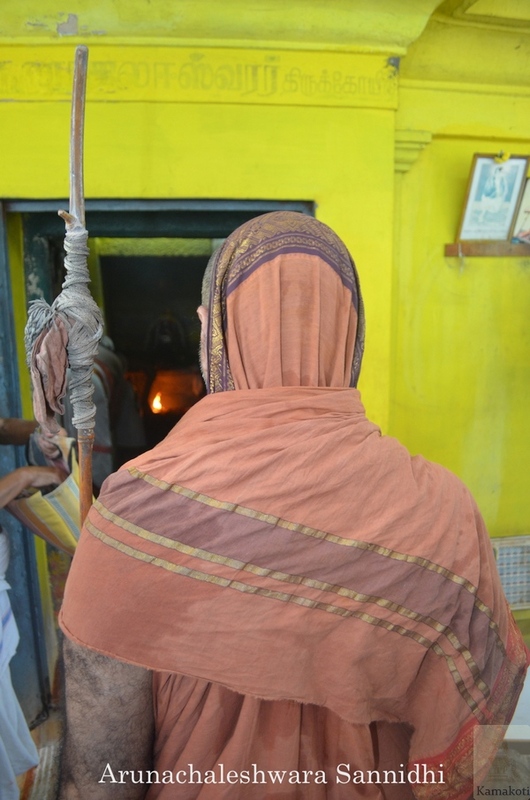 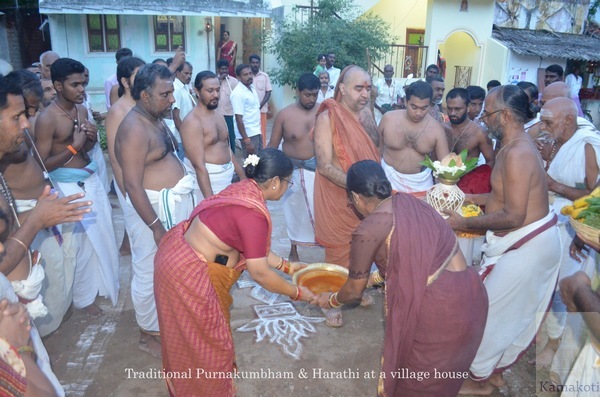 Then His Holiness went to the Varadaraja Perumal temple. 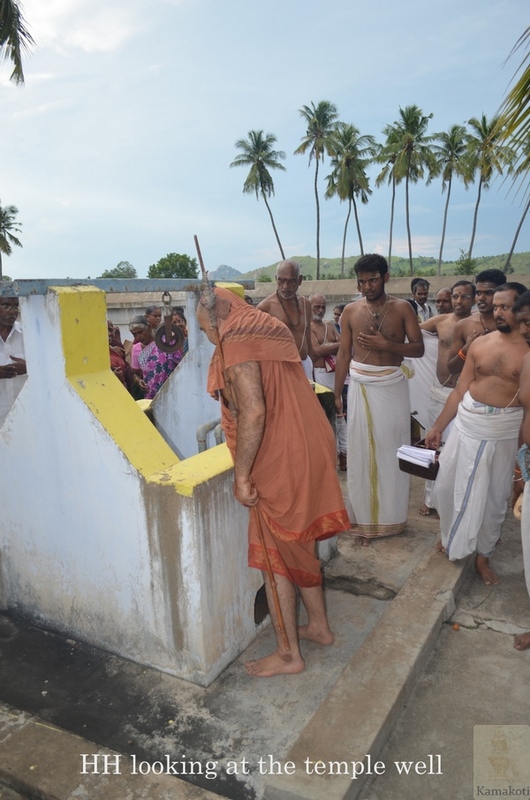 Enroute His Holiness was shown the Ashwattha Pratishtha & Ghat of the Kamandalu Naganadi river. 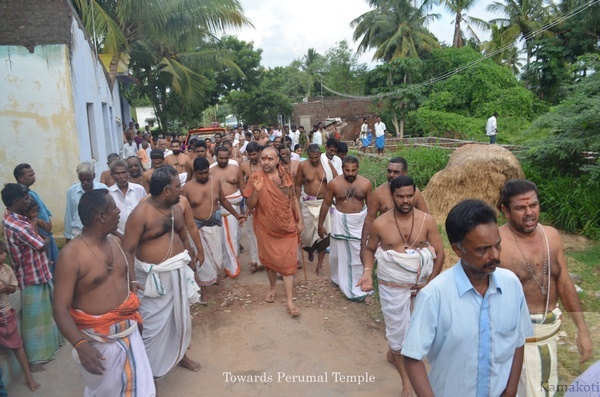 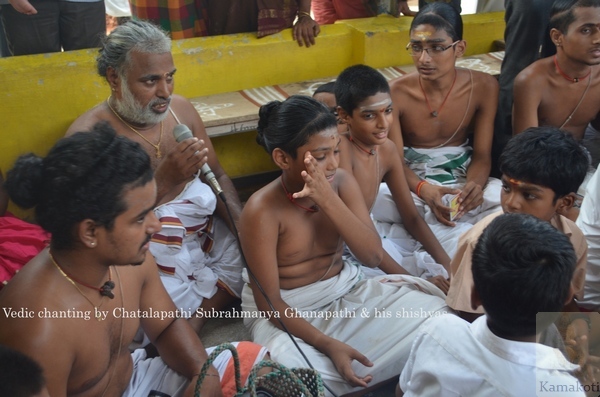 After darshan at the Perumal temple His Holiness gave Anugraha Bhashanam. 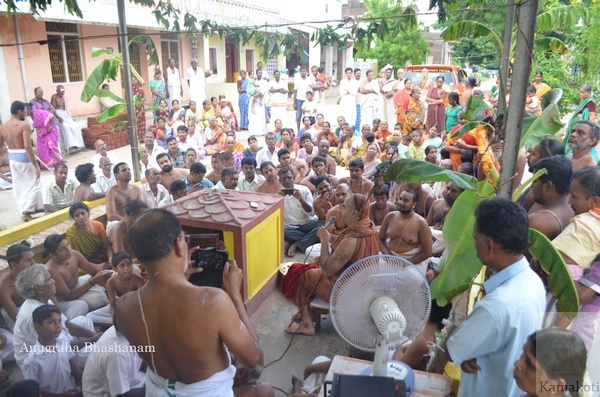 His Holiness talked for more than half an hour covering the significance of the name of the village, about concept of Pancha Bhuta worship in south India, explained environmental protection as a concept already deeply engraved in our heritage and the need for rejunevation, Guru Bhakti & service .